If You are not satisfied with Our service within 30 days of purchase, all refund request*will be honoured. The full amount of Your original purchase will be refunded. 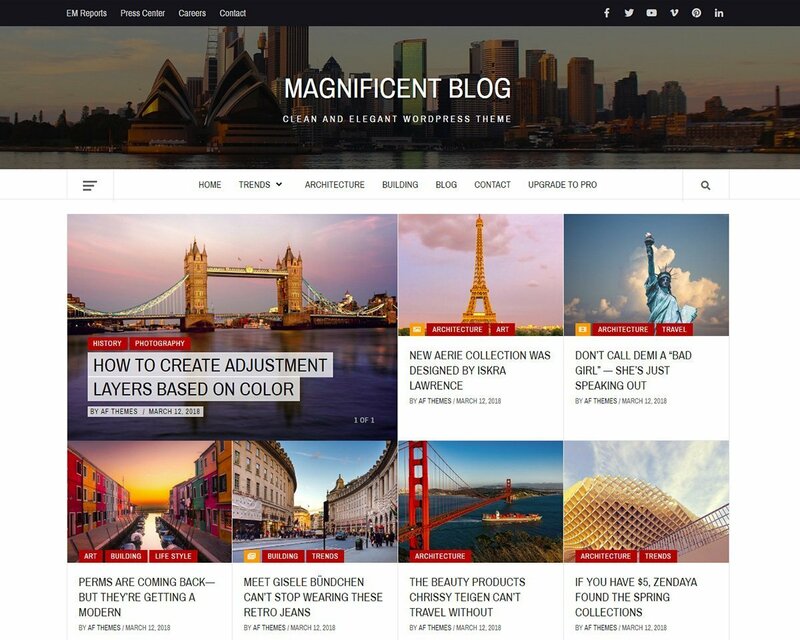 Magnificent Blog is a child theme of Elegant Magazine. 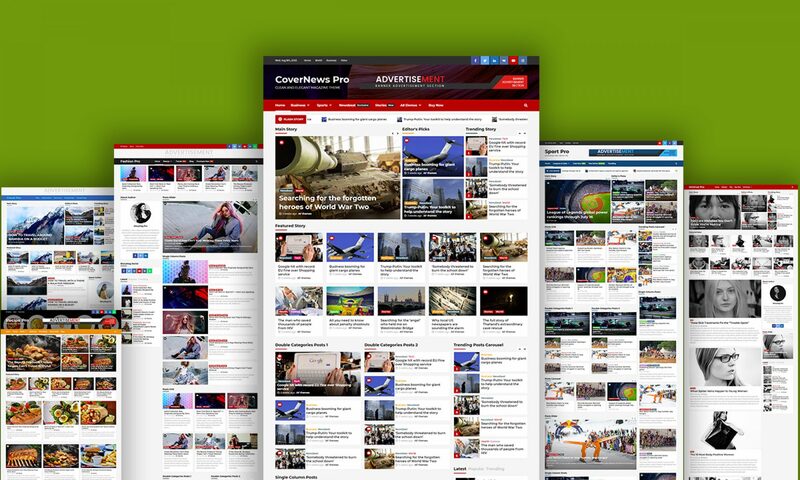 The theme has modified main banner section with unlimited featured news options. Furthermore, it is coming with different font, various color and background color changes. 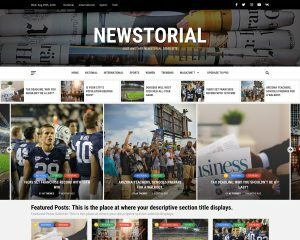 It is mainly designed for a blog, fashion news portal and magazine with an immense research on contemporary online newspapers. 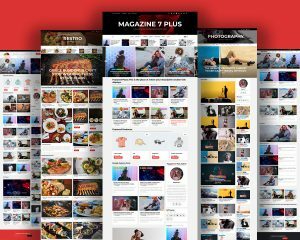 With the help of parent customizer options along with widgets, you can implement layouts as a trending news journals, modern fashion magazine, travel blogging & magazine, clean and minimal news sites, blogging site and even more. 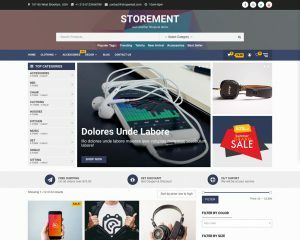 The theme is SEO friendly with optimized codes and awesome support. We make use of the WordPress Customizer, which allows you to preview changes to your website live, in all of our themes. This is the future of website editing. We make our products as easy to setup as possible with Customizer, which allows you to preview changes lively, Widgets with meaningful options, Demo content imports, and video tutorials. Our all products are mobile friendly and well tested for responsiveness to auto adapt on desktops, tablets and other small hand-held devices. Our customers love our fast and friendly support. Our products are simple and easy to use, but if you need any help, we are always ready with lots of patience!. Our themes follow the best internalization practices and therefore are ready to be translated into your language. We stay up to date with the latest version of WordPress, regularly release updates to add new features, which are often based on customer feedback. We support the most popular modern web browsers: Chrome, Firefox, Safari, IE9, IE10, IE11, Edge and Opera. The most flexible WordPress themes and plugins crafted for the future web.